If there were a Nobel prize for birth activism, then Beverley Beech would surely have been given one by now. 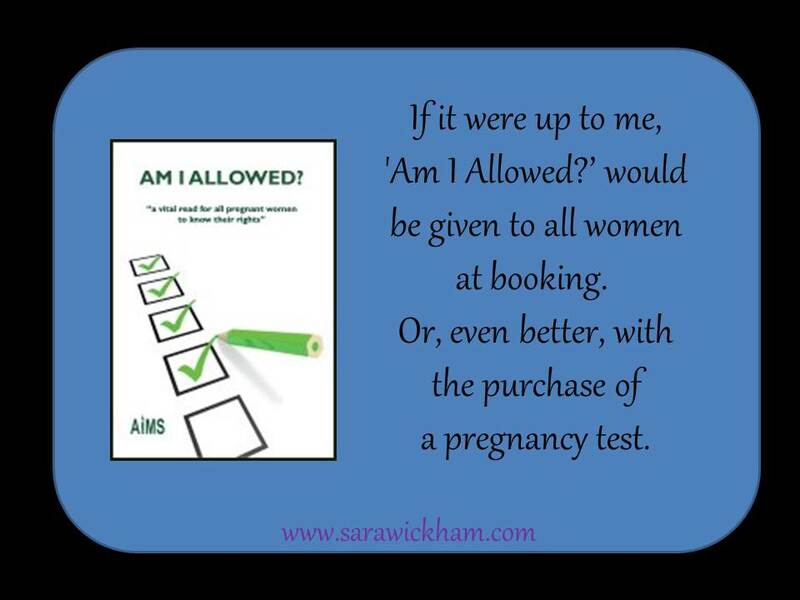 Chair of AIMS, legendary campaigner, brilliant speaker and long-time supporter of women’s rights in pregnancy and birth, Beverley has spent the last few months updating ‘Am I Allowed’, producing a new edition of this book which is even more recommendable than the first. Which is saying something, because the first was pretty awesome. Before I go on, I have to confess a slight bias here, in that I work closely with AIMS and I commented on a couple of sections of this book as it was being written. But you can decide for yourself whether or not that negates the value of my opinion on it. I’m certainly not going to let that stop me highlighting this fabulous resource. If it were up to me, ‘Am I Allowed?’ would be given to all women at booking. Or, even better, with the purchase of a pregnancy test. Another reviewer describes this as ‘a treasure-trove’, and I heartily agree. Beverley writes as clearly as she speaks, and she gives straightforward information on many questions that a woman might have about her rights in many situations. These include discussion of a woman’s rights in relation to tests, procedures and interventions, the law as it relates to place of birth, attendance at birth (including giving birth without a midwife or doctor) and a woman’s rights around who is and is not allowed to enter her home. Even better, Beverley offers suggestions as to how a woman can take steps to reduce the chance of finding herself reported to Social Services as a result of deciding not to accept the usual package of care. She also clearly differentiates ‘Freebirthing’ as a conscious decision from the decision not to call a midwife because the woman believes that she will not get the care that she wants. Such nuances are a vital component of the discussions and debates that we need to have about the problems raised by the modern approach to maternity care. But the rights of women who give birth in hospital get just as much attention. Beverley discusses the right to privacy, and topics such as positions, pain relief and time limits in labour. She lets women know how they can go about changing their midwife or doctor, and gives information on the ownership of the placenta. Again, she is clear and to the point, and I am in awe of the way in which Beverley manages to say things in five words that others (and I include myself in this) sometimes can’t seem to express in under twenty! Partly, I suspect, this is because she has spent so much time talking women through their rights that she has become ever clearer about what these are, and how to express them without unnecessary fuss. I learned loads, too! I never knew that pregnant women in some areas are allowed to sit in first class train carriages if all the second class seats are occupied, and I am also better informed for reading the section on how women can get hold of their notes. All in, this is a brilliant book which I would recommend to any woman embarking on a journey which involves the maternity services. If memory serves me, I remember once seeing Beverley presenting Baroness Cumberledge with a bouquet of flowers and saying, ‘this is for Changing Childbirth’. 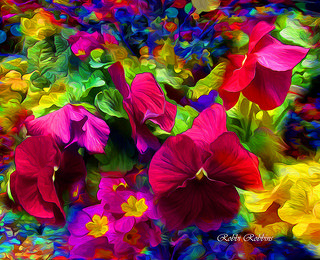 Beverley, I realise these flowers are virtual, but these are for ‘Am I Allowed’. Am I Allowed is available from AIMS website. Hello are there/or any plans for a leaflet version for health professionals to give to women? I don’t know of plans for any other versions, but I’m not on the AIMS Committee, so you might want to contact AIMS and ask them directly. We need a booklet like this in the U.S..